Guitars For Kids Pittsburgh is a program started by recording artist SuperMonkey in partnership with Fender Guitars, to help children between the ages of 5-15 who would like to learn to play guitar, receive the gift of music. Children or their parents can submit a 100 word letter to guitarsforkidspittsburgh@gmail.com as to WHY they would like one of the Fender Guitars we will be giving away this holiday season. Letters MUST be received by October 31st, 2018 for consideration, and contain the child's name, age, address, parent's contact information. 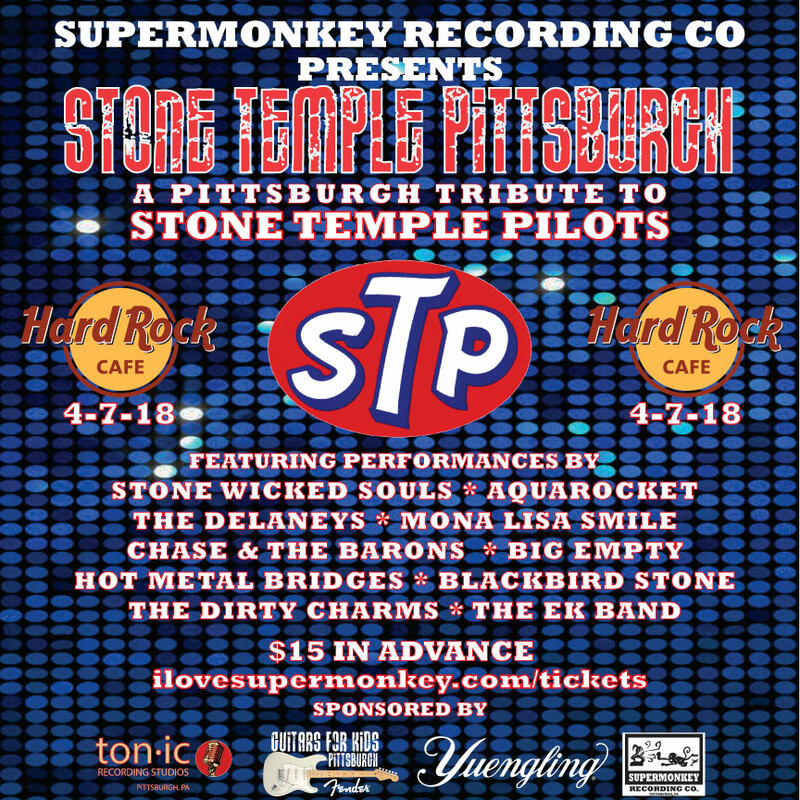 APRIL 7TH AT THE HARD ROCK CAFE PITTSBURGH! CLICK THE IMAGE TO THE RIGHT FOR TICKETS ONLY $15 IN ADVANCE.